Kelly McClelland knows about change and transitions from experience. 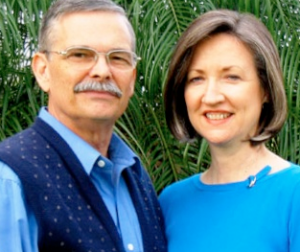 He and his wife, Connie are second career missionaries. God has used the many transitions in their lives to shape and prepare Kelly for his unique ministry to missionaries and pastors who are in the midst of confusing career and life transitions. In 2009, God began preparing Kelly to serve as a coach by giving him a desire to assist missionaries in hearing God’s direction for their lives as their roles change in ministry. In early adulthood, Kelly served as an officer in the US Navy and later in the business world in sales, recruitment, and leadership for an executive search firm in Portland, Oregon. After 6 years there, Kelly felt God leading them from the business world into ministry. This journey of faith took the McClellands to Oklahoma for a time of preparation and ordination. Their first missionary endeavors were with Literacy International. Two trips around the world and many missions conferences and events later, Kelly and Connie launched their own ministry that lead them to serve the next 10+ years in Indonesia. There Kelly assisted an Indonesian ministry launch a Bible school that became a full seminary in 4 years, training over 300 cell church leaders and helping launch a number of church plants. Kelly did ethnographic research and collaborated with Indonesian and multi-national teams. While teaching and preaching, Kelly continued his graduate studies at Biola University‘s extension program in Chiang Mai, Thailand. Health issues forced the McClellands to return to the US in 2004. Kelly joined the staff of the mission agency, Pioneers based in Orlando, Florida and created a Church Partnerships Team. When he became a vice president, he provided oversight of 5 ministry teams and almost 50 missionary mobilizers and leaders. All Kelly’s experience and transitions have given him a heart for coaching others. He is an encourager who is passionate about helping missionaries, pastors and other ministers hear God’s direction for their future. Kelly also has a call to assist young people figure out their next steps such as choosing a college and/or finding their career path after graduation. He has a learner’s heart. His training has earned him the distinction of Certified Career Management Coach. He is a member of the Christian Coaches Network and the International Coach Federation. 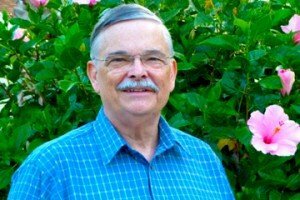 Kelly, a long time ham radio operator, is an active member of Pine Castle United Methodist Church in Orlando where he teaches the Vineyard Sunday School class, coordinates Adult ministry and serves on the church council and ACTS 1:8 missions team. Grow personally, thrive in your calling, fulfill your purpose!